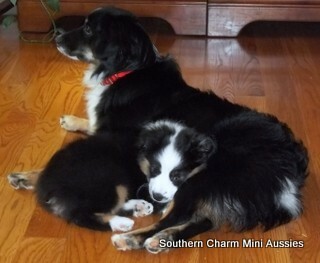 Here I get to share the amazing girls behind Southern Charm Mini Aussies. I am so proud of all they have accomplished, in the show ring and here at our home. Each and every one is so unique and different, but they all have that breed standard "Mini Aussie" look. They have been incredible mothers and take time to teach their puppies their surrounding, and how to branch out and explore the outside world. 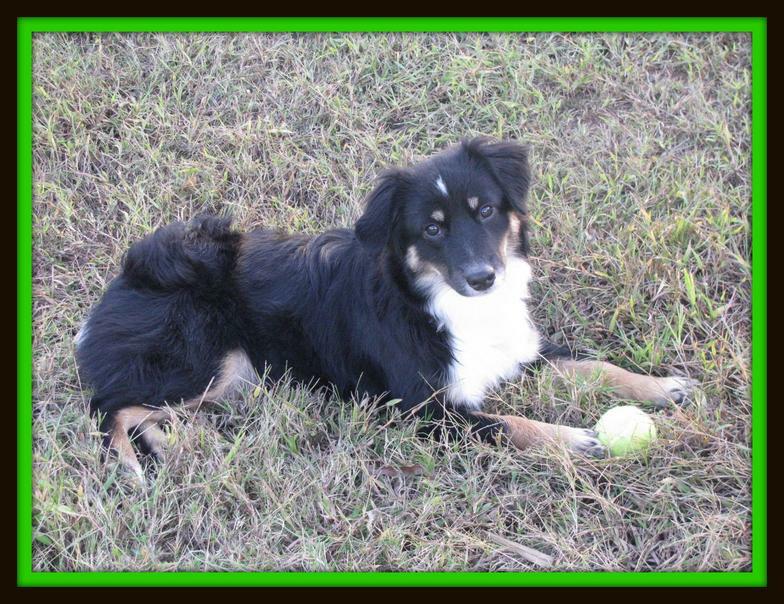 The next few dogs will continue on with the great bloodlines we have here at Southern Charm Aussies. These two are the great product of their sire and dam, Shining Star Contessa Southern Gem and Shining Star's Little Romeo, pictured above. Darby is a gorgeous black tri. Her parents are Bella and Roman. Darby is the sweetest red merle. Her parents are Tessa and Roman. Maddie is up and coming and will be bred when final testing is completed. She is still a teenager. Her parents are Darby and Indigo. Cassie is up and coming and will be bred when final testing is completed. She is still a year away from starting the program. Her parents are Bella and Indigo.